HARD GOLDEN 86 WHEAT IN 34.5 OZ. 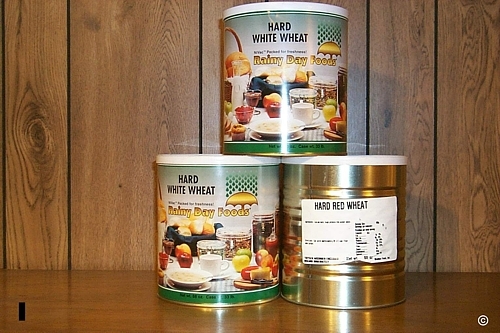 STARTER CAN Please note that all our wheat and grain products are sold at wholesale prices only to customers that are the proud owners of Retsel mills purchased directly from our factory. We provide this unique service to folks because grain is sometimes difficult to source in some parts of the country. This special offer will be applicable for the duration of the warranty on the product the customer buys from us. Due to the already very low grain prices we offer, we limit the quantity of grain purchased to one container per order and the type of payment accepted. Depending on the destination zip code and method of shipment there will also be a additional $15.00 to $30.00 shipping charge per each 45 or 50 pound grain container sold.